Elizabethtown police have filed charges against a former Elizabethtown man allegedly involved in an assault on a man behind MoviE-town in 2013. 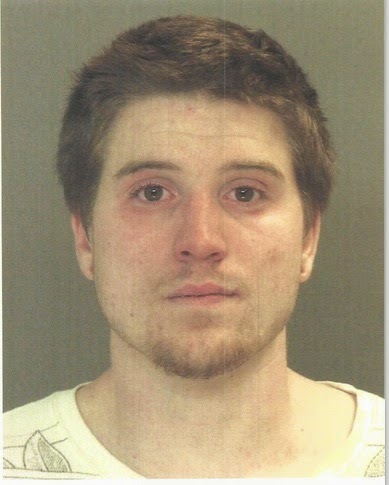 An arrest warrant has also been issued for Zachary T. Moore, 22, now of Rehrersburg, who remains at large. He faces charges of robbery, criminal conspiracy to commit robbery and aggravated assault, all first-degree felonies. He faces a first-degree misdemeanor charge of theft from a motor vehicle. On Nov. 5, 2013, police responded to an assault that had occurred behind MoviE-town. A man had responded to an ad on Craigslist about buying a TV and agreed to meet a woman identified as Amber Consylman at MoviE-town. She allegedly led him around to the back of the building where Moore allegedly attacked the man with a baseball bat. Police identified Consylman and arrested her. Further investigation recently identified Moore. Police ask that anyone with information about his whereabouts to call 717-367-1835. There's a lot more information about how they got enough evidence to charge Moore with a crime in the court papers. I have an article with that information in the current issue of The Elizabethtown Advocate. Did you get the affidavit at the DJ's office, Dan? All I had was the news release from the police.